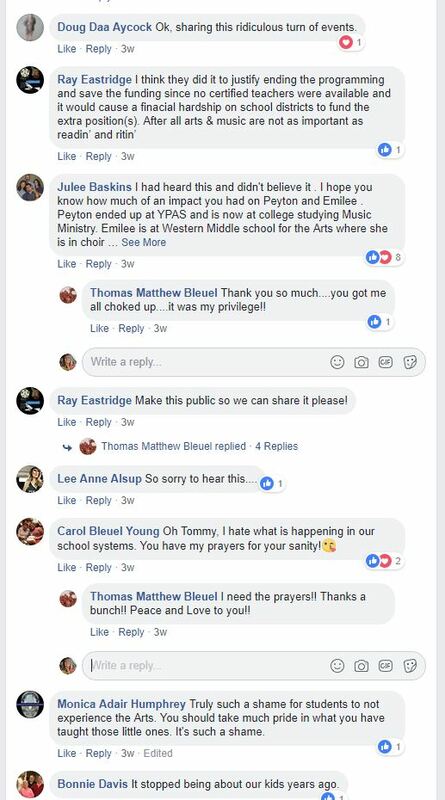 I’m very happy to see the latest post from a Manual parent telling her story that Mayes was a bully and ruled with intimidation, reaching far beyond the African American and LGBTQ school communities. These are exactly the accounts I was referencing in my anonymous posts — LOTS OF US OUT HERE HAVE THINGS TO SAY, but we weren’t allowed to speak out for fear of retaliation. 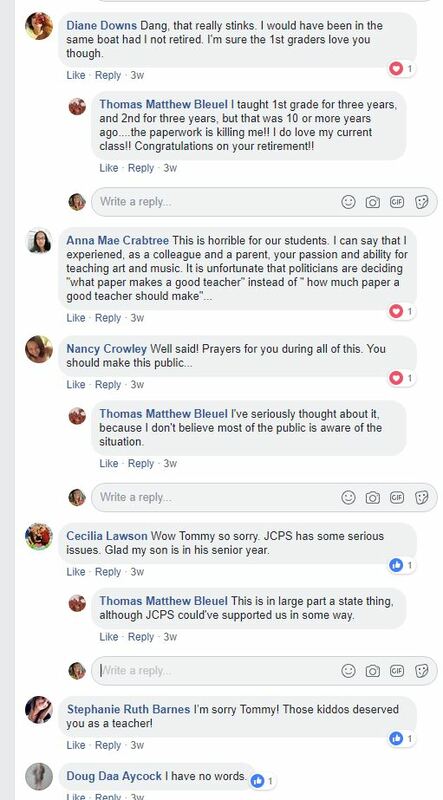 I hope and pray that JCPS will not allow someone else like this to ever lead a school. Were it not for those brave students who recorded him on tape, there never would have been an investigation in the first place. We would all have continued to live under the authoritarian rule of Mayes with no voices to be heard. The District must listen to students, parents, staff, alums, – EVERYONE – and take us seriously when we have important and legitimate concerns. 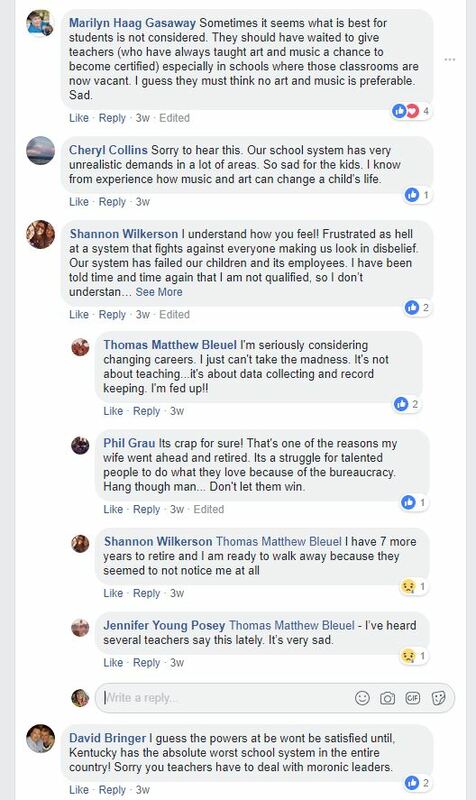 Therefore, JCPS must learn from this mistake and put in place a system to allow for scared (and anonymous) constituents to blow the whistle on corruption within our schools without the fear of retaliation. When we SEE SOMETHING, we must have a way to SAY SOMETHING. 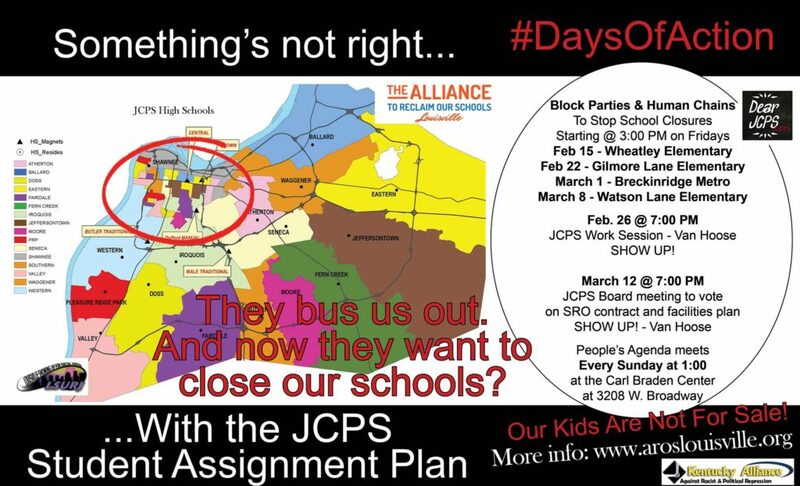 JCPS must put a system in place and let all of us know how to report the misdeeds of school administrations. Give us a phone number of an ombudsman or other designated official, and give us the promise of anonymity. The District owes all of us this, so this sort of improper leadership never happens again. Mayes got away with his nonsense for 5 long years and that is unacceptable. 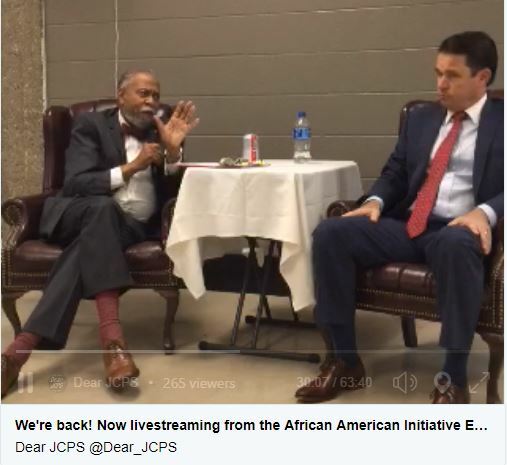 Thank you for your continued support of Dr. Pollio’s wise decision to remove Jerry Mayes from his former position as DuPont Manual’s principal. My child is a current Manual student and was subjected to Mayes’ practice of pulling students out classes to settle issues via intimidation. My child’s experience shows that at times Mayes’ use of these tactics extended beyond racial minorities and students who are LGBT, as my child is of Caucasian decent and doesn’t identify as any of these groups. In my child’s second year at Manual, my child and another student were the targets of bullying by two other students. This had been reported to one of the Assistant Principals, and he was working diligently to resolve the situation and was maintaining excellent communication about the process with my child and me. For unknown reasons Mr. Mayes involved himself in the situation. 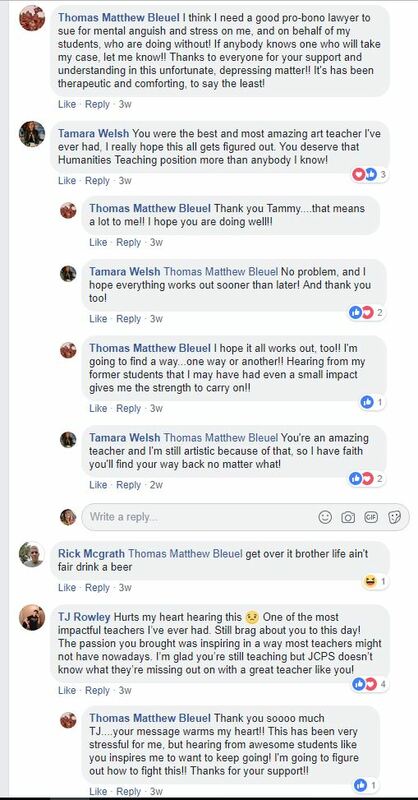 His response was to pull all 4 students out of class for a group conference, forcing my child to discuss the situation in front of those who were the alleged bullies. His responses in this meeting clearly indicating that he wasn’t aware of everything that had been reported, wasn’t really interested in hearing any of these 4 students’ accounts of the events, but instead to give a lengthy pontification of his own views and experiences, a large number of which were totally irrelevant to the current issue. After an hour of this, he culminated the meeting by pulling out a stack of school transfer papers and telling these students that these forms could be completed right then if they couldn’t behave and that there were plenty of others students in JCPS who would love to have their spots at Manual. He never communicated any of this to me, and when I sent him an email expressing my displeasure with how this was handled, he called me and basically said that he understood the situation and that he knew how to handle these matters and that he expected no further issues. 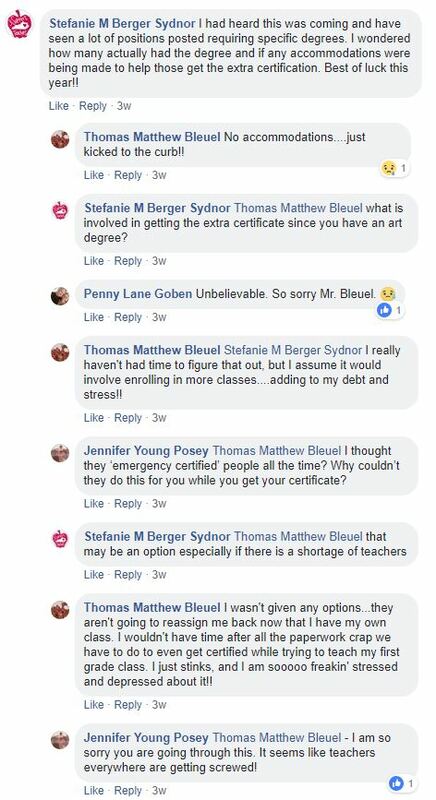 I did not appreciate his response of blaming the victim, nor did I appreciate him pulling my child out of a science class that my child was having trouble with for an hour, especially not when it was a week before the final exam and the teacher was reviewing material for the test. In three years as a Manual student, this is the one and only interaction my child had with Mr. Mayes. I highly doubt he would even recognize my child’s name or face now. But yet he felt that he understood what was going on well enough with my child to threaten a transfer during their very first interaction. 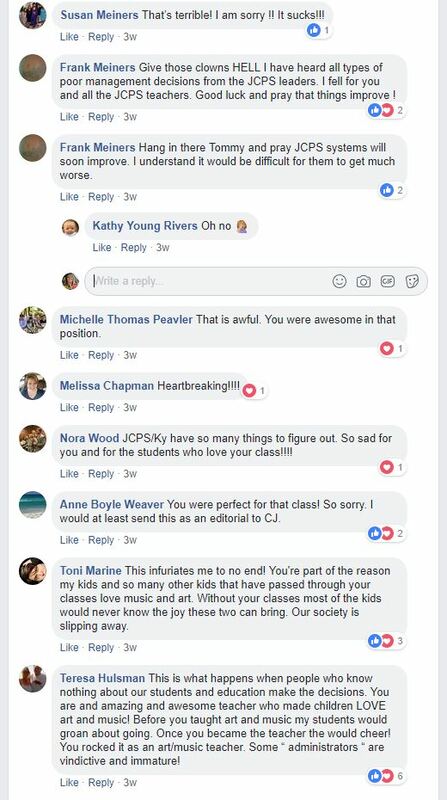 It was very, very troubling to me, and the fact that Mr. Mayes remained in charge of Manual for the school year after all of the troubling allegations were made public was even more troubling. My child and I are very relieved and grateful that Senior year will be free of Mr. Mayes ‘leadership by intimidation. Yet even after everything that has happened, I’m still unwilling to tell this story publicly for fear of retaliation against my child. 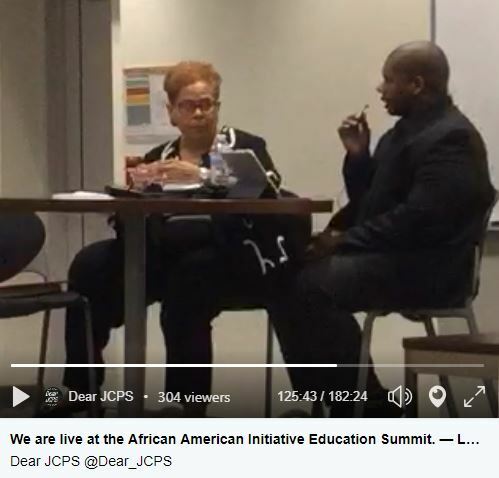 Wayne Lewis, “interim” Kentucky Education Commissioner recently stated in the Courier Journal he has “No Agenda” with respect to the takeover of JCPS by his office. However, I have read his 194 page doctoral thesis and it is clear he intends to see the takeover happen. His paper reveals his hostility toward public school systems like JCPS including teachers, administrators and the teacher’s union. He obviously favors charter schools and writes throughout his paper of the difficulties they will face such as getting uncertified teachers into the state retirement system, using “alternate” tests instead of standardized testing, converting existing private schools into charter schools and using money from the state lottery to fund building maintenance and expansion. He explores eliminating racial quotas for students, getting rid of the “cap” on the number of charter schools allowed within the state. He also wants to allow “admissions preferences for some students”. If Mr. Lewis is getting a head start on twisting his words to meet his agenda then imagine what he will do once he is no longer “temporary”.